The Livable Centers Initiative (LCI) is a program to transform communities into vibrant, walkable places by promoting transportation options, housing diversity, healthy lifestyles, and access to jobs and services. 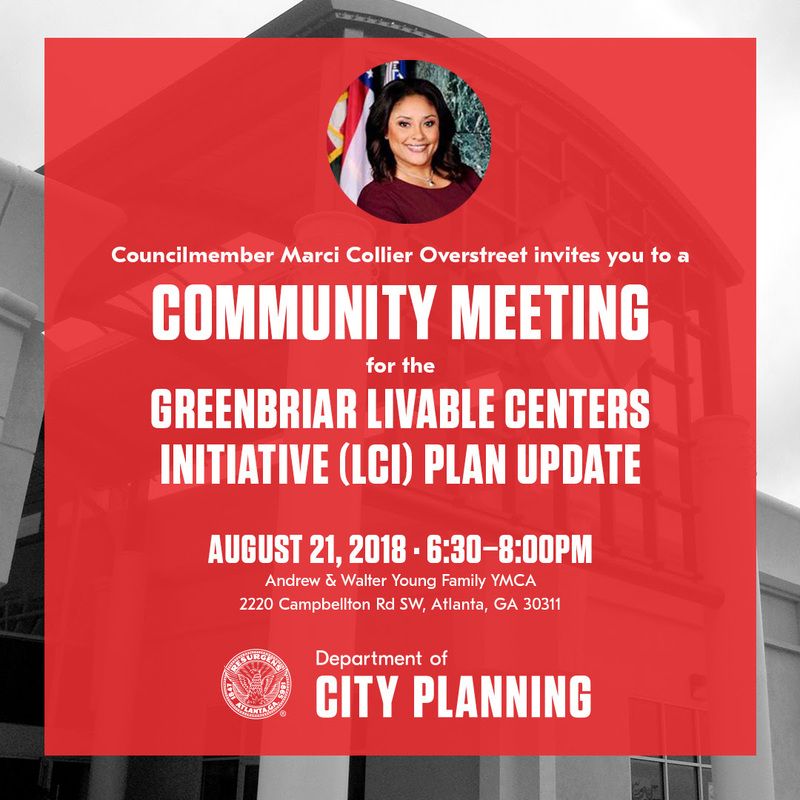 Join us for the kick-off meeting and share your vision and priorities for the Greenbriar Town Center. We need your voice and input! Share your vision and priorities for the Greenbriar Town Center. This feedback is critical in shaping the policies and decisions that City leaders make for Atlanta’s future.